Are you in compliance with all environmental regulations? CORE can help assure that everything is operating within the standards and guidelines of state and federal regulatory agencies, such as EPA, OSHA, DOT, USCG, PADEP, Ohio EPA, WVDEP, local POTWs by performing on-site facility inspections and compliance audits, as well as property assessments. We can identify problem areas so that you can address potential issues BEFORE they result in fines or notice of violations. 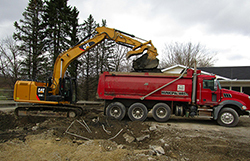 Hazardous and residual waste management, permitting, and file upkeep. Air permit compliance and record keeping. Oil response including Spill Prevention, Control, and Countermeasures (SPCC) Plan development and training. Stormwater Pollution Prevention Plan (SWPPP) development and training. Pennsylvania DEP Plan requirements including Preparedness, Prevention, and Contingency (PPC) development and training. Integrated Contingency Plan (ICP) inclusive of environmental, and health and safety plan requirements. Spill Response Plan (SPR) for large aboveground storage tank (AST) facilities. Emergency Planning and Community Right to Know Act (EPCRA) reporting including Tier 2 and Form R.
Annual stormwater permitting, inspections, sampling, and reporting. Pennsylvania DEP waste reporting including Biennial Hazardous and Residual Waste Reports, Form 25R, and Form 26R. Annual air emission statements and air permit preparation, compliance monitoring, and reporting. 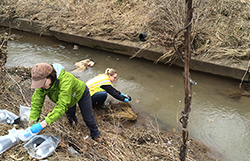 Discharge and pre-treatment system monitoring, sampling, and reporting. 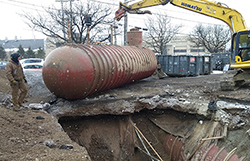 Underground and aboveground storage tank permitting.